Rocklea Estate is the home of unique spaces, that welcomes all imaginations to create the perfect experiences against picturesque panoramas. 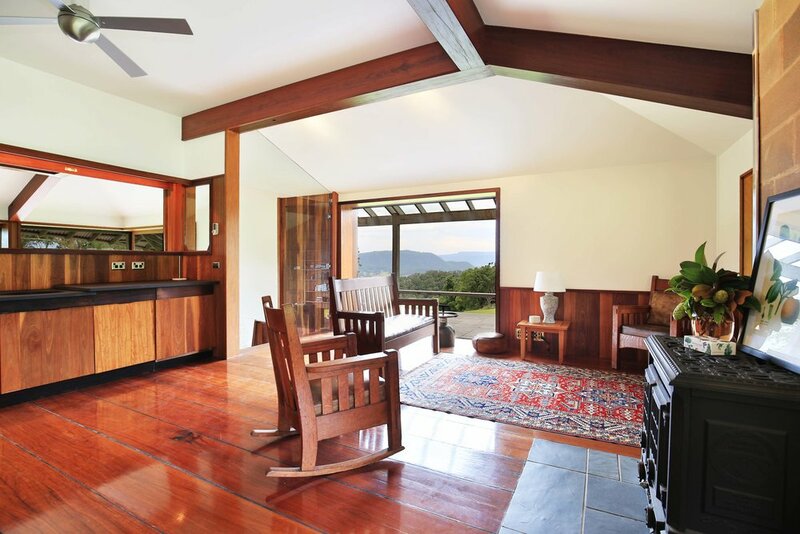 Nestled away in the side of Barrengarry Mountain close to Kangaroo Valley, our secluded location is the ideal escape - whether you’re celebrating special moments, embarking on wellness quest or creating inspired visions. Our suite of dynamic spaces is invigorated by an ambience that achieves a delicate balance between the impressive craftsmanship of its architecture and immersive connection to surrounding nature. Seclusion, flexibility and spacious environments are yours with a range of entertainment, dining, studio and accommodation settings to choose from. There are two main habitable buildings on the property and a separate outdoor entertaining space. The Homestead is a gorgeous and unique building, hosting one master bedroom, 1.5 bathrooms and multiple living spaces. 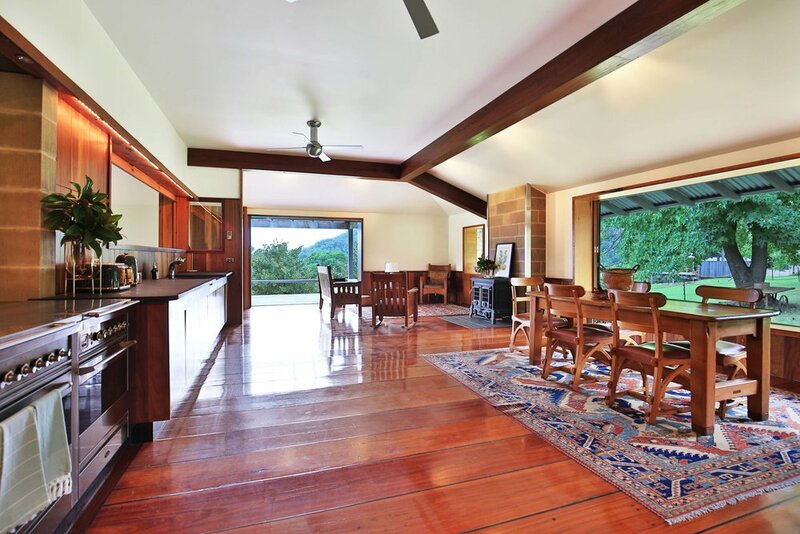 From the sunroom dining space, the kitchen-dining area, the lounge-room with floor to ceiling windows overlooking the Valley escarpment, the cozy fireplace sitting area and the generous verandahs, this home has no shortage of lounge and entertaining spaces. The kitchen is state of the art, and would excite any keen cook. The dining space adjacent to the kitchen has large retractable windows which can completely open up allowing food to be served and outside guests to mingle freely with those inside. The Studio is a masterpiece of architecture. Set on 4 levels, with parking on the bottom, the most noticeable feature of the building is the space it allows. A dramatic spiral staircase leads to the first level which hosts a grand sandstone fireplace and lounge area, 1.5 bathrooms, and 3 large off-set rooms. Level One also hosts a generous open wooden space, ideal for larger dinner parties or inside group classes. Upstairs again, the mezzanine level looks down onto level one and is an ideal platform for musicians and photographers. The final level is an eight-sided meditation tower looking over the vast landscape of Kangaroo Valley. The Dairy (literally an old dairy) is a cute small building with a large shaded deck area. This is ideal for sunrise yoga, outdoor luncheons, or sunset cocktails with a view. While the indoor spaces are unique, versatile and plentiful in their room to move and create your own ideal, Rocklea Estate’s outdoor playground cannot be overlooked. 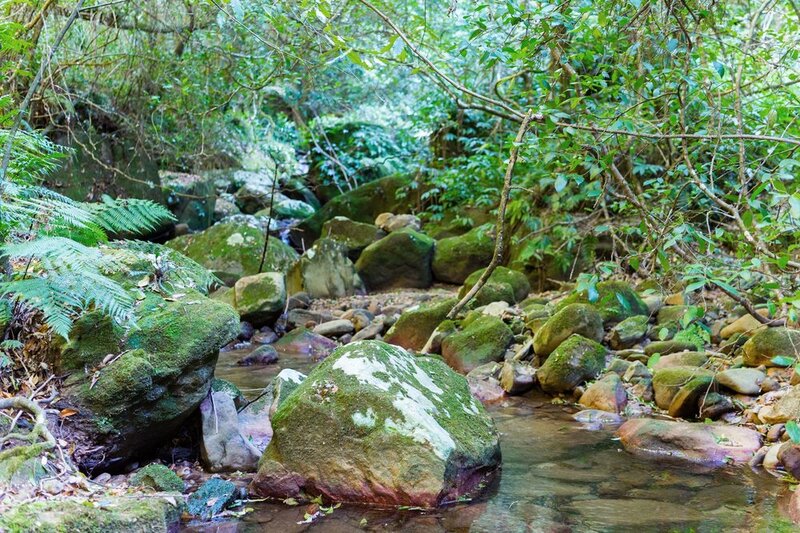 On 330 acres of land, Rocklea is host to diverse flora and fauna. 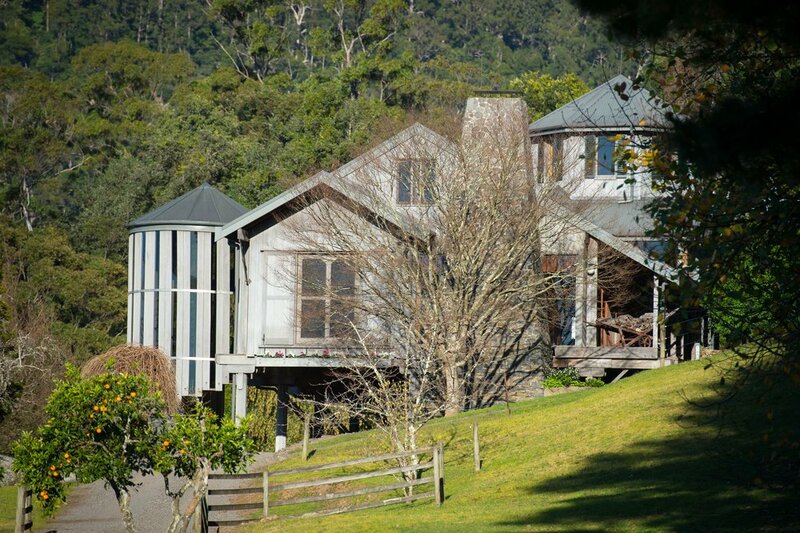 A natural rainforest, a pine forest, landscaped gardens, wombats, foxes, lyre birds and more. Set in amongst the broader landscape of Kangaroo Valley and Fitzroy falls, the opportunities for nature immersion are endless. We can organise guided walks, horse-riding, kayaking, Aboriginal culture tours and talks and more. Whether you are a group of friends or family looking for a special place to create a memory, or a small work-team looking for a shake-up of mindset and inspiration, Rocklea Estate is for you. Rocklea is a very private venue and we respect that some groups may want 100% privacy, which we can provide. We can also provide all the helping hands you need onsite, to curate your ultimate experience. This can include but is not limited to activities, adventures, outside catering and dining styling. All of this just two hours from Sydney. 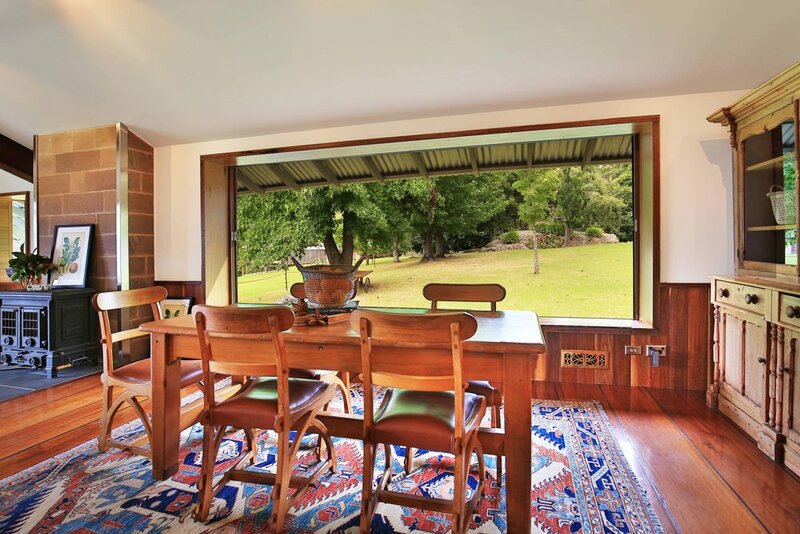 *If you are interested is using the property for a family gathering please click below.